TRENTON, N.J. -- New Jersey Gov. Chris Christie disagrees with President Obama's decision to normalize relations with Cuba and wants the president to demand the immediate return of convicted cop killer Joanne Chesimard "before any further consideration of restoration of diplomatic relations with the Cuban government." In a letter sent to the White House Friday and made public by his office Sunday, Christie pressed for the return of Chesimard, who was convicted of killing a New Jersey state trooper in 1973 during a gun battle after being stopped on the New Jersey Turnpike. Chesimard was found guilty but escaped from prison and eventually fled to Cuba, where she was granted asylum by Fidel Castro. 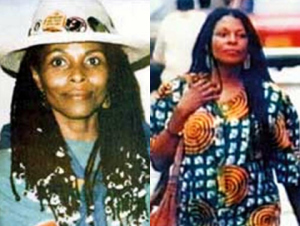 She is now living as Assata Shakur and is the first woman placed on the FBI's Most Wanted Terrorist List. Christie said Cuba's decision to grant Chesimard asylum "is an affront to every resident of our state, our country, and in particular, the men and women of the New Jersey State Police, who have tirelessly tried to bring this killer back to justice." The Newark FBI has been in close contact with partners in the law enforcement and intelligence communities and will continue to do "pursue justice, regardless of how long it takes," says Special Agent in Charge Aaron Ford. "The FBI will continue to utilize all available resources in our attempt to apprehend Joanne Chesimard, no matter where in the world she is located," Ford told reporters last week. Without mentioning Chesimard or her case directly, U.S. Deputy Attorney General James Cole touched on the topic of extraditing wanted fugitives in a press conference on Monday. "We are working with that country to get back fugitives. The fact we have a better relationship with Cuba increases the likelihood of being successful on that," he told reporters on Monday. Bernadette Meehan, a spokeswoman for the White House's National Security Council, said it will "continue to press in our engagement with the Cuban government for the return of U.S. fugitives in Cuba to pursue justice for the victims of their crimes." Christie expressed "profound disagreement" with the president's decision, but he said the moment marked an opportunity for Cuba to prove it's serious about change. "I do not share your view that restoring diplomatic relations without a clear commitment from the Cuban government of the steps they will take to reverse decades of human rights violations will result in a better and more just Cuba for its people," Christie wrote. "However, despite my profound disagreement with this decision, I believe there is an opportunity for Cuba and its government to show the American people it is serious about change."